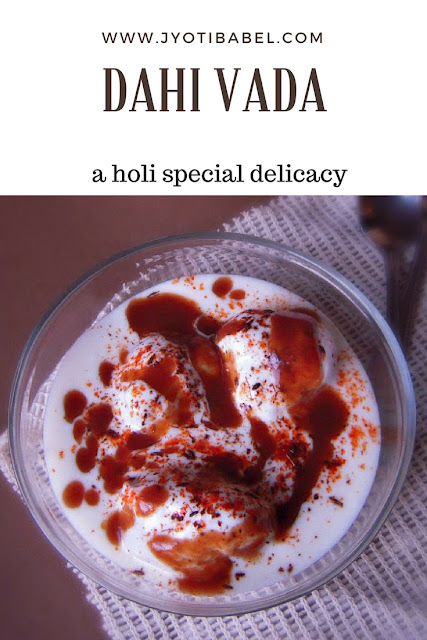 Dahi Vada is one of the must prepare dishes for Holi. Soft urad dal dumplings are soaked in spiced yoghurt and are topped with tamarind chutney and a special dahi vada masala. At the very outset wish you all a very happy, safe and colourful Holi. Today is also International Women's Day. So, to all ladies out there, have a great day, celebrate womanhood! Cheers! I guess people in India are celebrating Holi with full fervour. We too will have our share of celebrations but not until the weekend. Till then, I can obviously gorge on the Holi special delicacies. I had made this Thandai Syrup sometimes back and have been enjoying it since then. DH has asked me to make these Samosas. I have more snacks and sweets on the menu! Food is such an integral part of our festivals that you can't simply do without them. 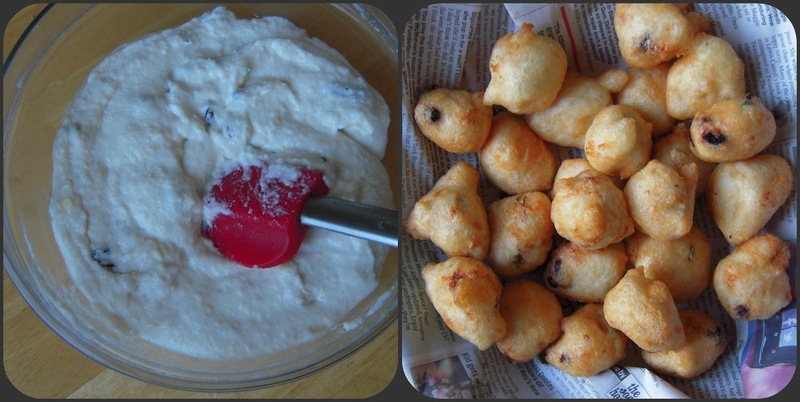 These Dahi Vadas are a hit in my house and holi is just an excuse to make them one more time. As both of us are 'nuts' lover, I throw a handful of chopped cashews and raisins into the vada batter. If you don't like them, you can leave them out. I always made them in excess as they keep well for 2-3 days in the fridge. Let's hop over to the recipe now. 1 tsp of minced ginger. 2 green chillies chopped finely. 1. Soak the dal/lentils for 3-4 hours. 2. Drain off all the water and churn it in a mixer grinder with little water to a fine paste. The consistency of the paste must be thick. Whisk it to incorporate air and fluff it up. Add the chopped cashews, raisins, chopped ginger and green chilli. Add salt as per taste. 3. Heat oil for frying. Drop spoonful of batter into hot oil, fry them till they are light golden brown. Keep the vadas on paper so that the excess oil is soaked out. Then transfer them to a bowl containing cold water. 4. Beat the yoghurt with water, sugar and salt so that it is smooth and has no lumps in it. 5. To serve to squeeze out excess water from the vada by placing it between the palms. Place the vadas in a bowl. Pour the yoghurt over it. Sprinkle the roasted cumin and red chilli powder over it. Garnish it one teaspoon of tamarind chutney. Wishing you all once again a very happy Holi! Thank you for stopping by! Cheers! Yes, even for us, it's a Holi tradition. Lovely pics. Awesome!! I love Dahi Vada...always go gaga eating it :D Your looks perfect! Hope you had a colourful and a happy Holi. Happy Holi !!! Beautiful and tempting pic. Delicious and mouthwatering dahi vadas. Lovely preparation.